Rrishu Jain interviews Shubhashu Gupta, co-Founder of The College Store, a budding eCommerce startup from India. This venture started a year ago with no technical or industry experience and it currently generates no profit from its primary customer base. So what is the deal? The company leverages revenue through a coupon system with local business, but the aim is bigger - the College Store believes in sharing education with the needy, throwing away the boundaries of money… and fundamentally cutting the price of books. So Shubhanshu, what exactly is The College Store? The College Store is an eCommerce platform that provides every student [with] a right price for their book. It connects the students who want to sell their used books and the students who want to buy the course books which matter to them most. Why did you start The College Store? The current market scenario in India focuses only on new books that are available at high prices in book stores. There are a few major eCommerce players in the category like Flipkart, Amazon, Infibeam and HomeShop18. The Indian Book Industry is worth Rs 12,000 crores ($1990 million) and it is growing at a rate of 25% annually. But there is a huge untapped market of used books. The market is glutted with the old traditional style book stores that sell and buy used books at very unfair prices and this entire used books industry is unorganized. The College Store wishes to bring a revolution in this unorganized sector by making it completely online and transparent. The price of textbooks has increased by 82% in the last 10 years and it is affecting students nationwide. Many are forgoing purchasing some books altogether or are buying older, less expensive editions. This, obviously, could greatly impact their grades. These results and findings are based on a survey of more than 2,000 students from more than 150 different campuses across the country conducted last fall. 65% said they had decided against buying a textbook because it was too expensive. Nearly half (48%) said the cost of books had an impact on the number and type of courses opted, if given an option. 94% of the students who had skipped buying a required book said they were concerned that doing this would hurt their grade in that course. What is your working model? 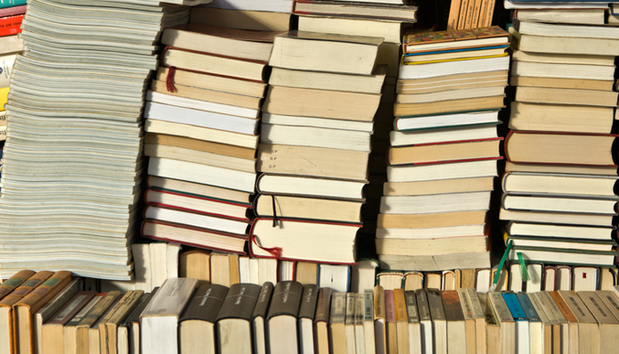 The College Store lists all the sellers who wish to sell their books like a marketplace. A buyer can choose to buy from a seller according to his/her popularity rating and the price offered. What is different in your model compared to other eCommerce giants? With a great vision to make it the prime books purchase store that fits the pocket of every student, this is India’s first ever online “used book store” which makes the buyers meet the sellers. People can buy and sell used as well as new books. Besides [this], all our customers, including both the buyer and seller, can select coupons based on their preference. These coupons are from nearby restaurants, salons, movie theatres, merchandize stores, etc. which gives them great deals from the nearby stores. The specialty of these coupons is that, these are not from the traditional big eCommerce websites, or other MNCs but from the local nearby stores which contribute to the majority market share in India (more than 90%). Coupons from such a large variety of markets are not available due to many reasons such as it being a large unorganized sector with lots of small entrepreneurs and merchants running these stores. In return, we collaborate with these stores and provide them with a huge marketing and advertising platform by listing their coupons on our website. Currently we buy and sell books ourselves. We have been in this industry for the past 15 months and have successfully completed three seasons with a growth rate of around 240%. Currently we have a market access of 1250 students and have seen about 950 students [actively] make use of our store. What is in it for the merchants who offer you coupons and how do you get benefit from that? With a speculation of lots of customers to be lined up and large number of website hits and purchases, we intend to make the merchants and the store owners the beneficiary of the traffic that we generate, by routing it to their store. We offer them the opportunity to collaborate with us and let them offer special privileged discount coupons to our valued customers. They get the benefit of significant advertising along with increased sales through a direct route that our customers would take from “The College Store” to their store. How will you incorporate your coupons? We will allow our valued customers to pick from a wide variety of discount coupons. Once a customer selects a store’s coupon, he will be sent an email instantly with the coupon codes that can be redeemed at that store. How many team members do you presently have? We are a team of three co-founders currently and we have eight employees. Where do you see The College Store five years from now? We see it as the prime eCommerce book store where all the college students can buy and sell their books.